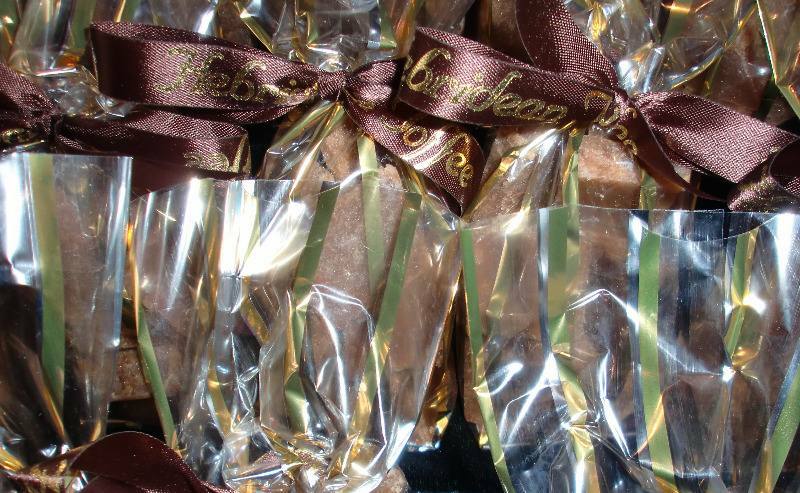 and a cases of 180g Gift Pouches (each case contains 56 gift pouches). For large and regular orders we can offer bespoke ribbon with your company/shop name printed on it. 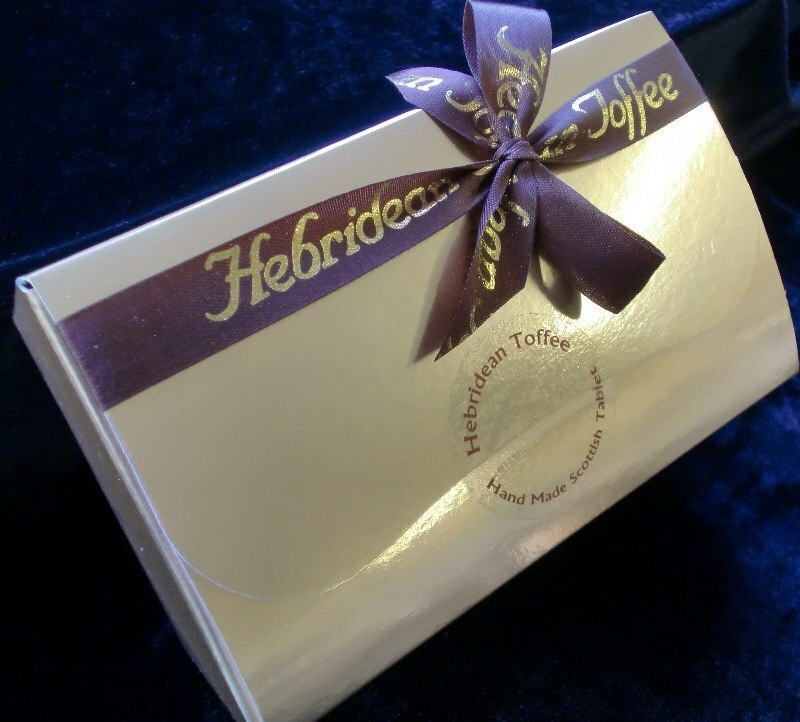 We make Hebridean Toffee fresh to order to ensure that you get the maximum shelf life of 6 months. Your first order is pro-forma and subsequent orders will be on 30 day payment terms. Delivery is mainly by Royal Mail Parcelforce service and is fully trackable. For Scottish Hebridean Island orders we may use an inter-island courier.